WATERLOO, ON--(Marketwired - April 14, 2015) - Sarah French and Mary Fehr aren't your typical 20-somethings and their upcoming adventure is no different. 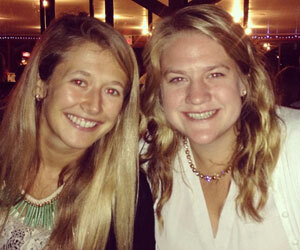 Both were recently part of MEDA's -- Mennonite Economic Development Associates -- intern program: Sarah worked on an agriculture project in Nicaragua, Mary on a health project in Tanzania. After seeing the impact of MEDA's work helping women to get out of poverty and live healthier lives, they wanted to get more involved. In May, the pair will embark on a four-month bike ride across Canada to raise $150,000 for MEDA's GROW (Greater Rural Opportunities for Women) project in Ghana. "The GROW project is assisting 20,000 women farmers and their families to sustainably emerge from poverty. Mary and I wanted to support a project that focused on women because we saw the gender inequalities while on our own internships," said French. "It couldn't be more symbolic: Two women cycling across Canada representing independent, self-sufficient women." Bike to GROW will begin May 18 in Victoria, BC and conclude September 5 in Leamington, ON. On the way, Sarah and Mary will stop at MEDA chapters, churches and community centres to speak with locals about MEDA, the GROW project and their experience. "I love to take on a challenge and prove to myself that absolutely anything is possible with willpower and determination," Fehr said. "Sarah and I cannot fail, especially with the amazing support we've received. We're no longer just biking for ourselves but for all of MEDA, MEDA's supporters and of course, the women and families in Ghana." "It's really inspiring to see Sarah and Mary's passion for how MEDA works and their determination to succeed for women in Ghana," said Ethan Eshbach, coordinator of engagement initiatives. "Bike to GROW has encouraged many people to join us in our mission to create business solutions to poverty. Anyone can help by offering financial support, a place to sleep or by organizing a local event." 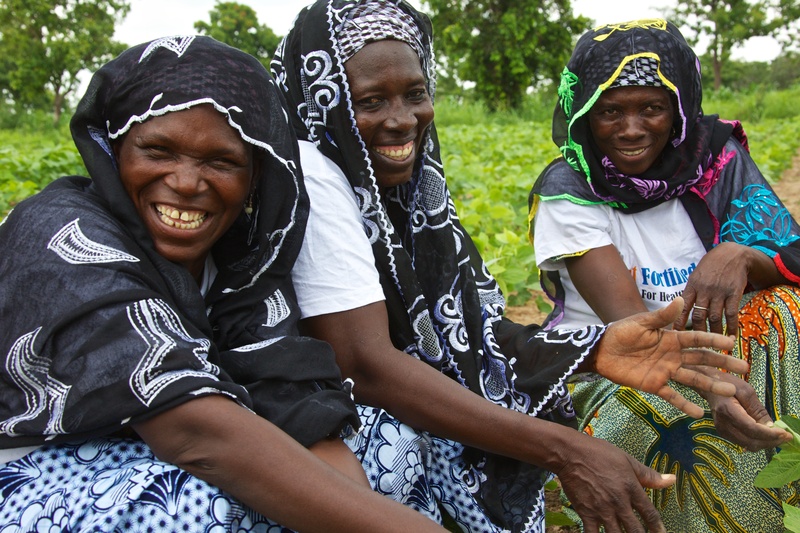 GROW is helping women soybean farmers in Northern Ghana increase agricultural production, strengthen their links to markets, diversify the food they produce and understand more about nutrition. Funded by Canada's Department of Foreign Affairs, Trade and Development (DFATD), this six-year project will improve the incomes and food security of 20,000 women and their families. "We're so blessed and honored that women like Sarah and Mary want to support our efforts to empower women as entrepreneurs here in Ghana," Catherine Sobrevega, GROW country project manager. "These women work hard and persevere every day to provide for their families. You can see their smiles when they learn new things, produce a good harvest and have income because of our support. It's exciting to know their life-changing stories are going to be shared across Canada. Our team will include both of them in our prayers. May they remain strong and safe throughout this memorable journey for GROW." "It only feels right to use this ride as a chance to give back to the wonderful work MEDA does every day," say Sarah and Mary. To learn more, follow their experiences or donate to the Bike To GROW campaign, visit www.biketogrow.com. Past MEDA interns Sarah French and Mary Fehr are biking across Canada this summer to raise $150,000 for MEDA's GROW project in Ghana. 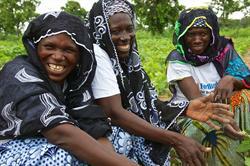 MEDA's GROW (Greater Rural Opportunities for Women) project in Ghana is empowering 20,000 women as soybean farmers, increasing their family's income and food security.